Mechanics Bank is set to buy Dutch lender Rabobank Group's United States locations for approximately $2.1 billion. Based in Walnut Creek, California, Mechanics Bank is a 114-year-old full-service community bank with 44 branches throughout California and more than $6 billion in assets. Rabobank's U.S. subsidiary includes 100 branches and more than $13 billion in assets. The combined entity would operate under the Mechanics Bank name with 144 branches and in excess of $17 billion in total assets, according to a joint statement. Mechanics Bank is set to acquire Rabobank's retail, business banking, commercial real estate, mortgage, and wealth management businesses. Not included in the transaction are Rabobank’s food and agribusiness assets. The total transaction will settle for approximately $2.1 billion. Rabobank Group will receive 9.9% of the outstanding shares of Mechanics Bank after giving effect to the transaction. Currently, 79% of Mechanics Bank’s outstanding shares are owned by Ford Financial Fund II. 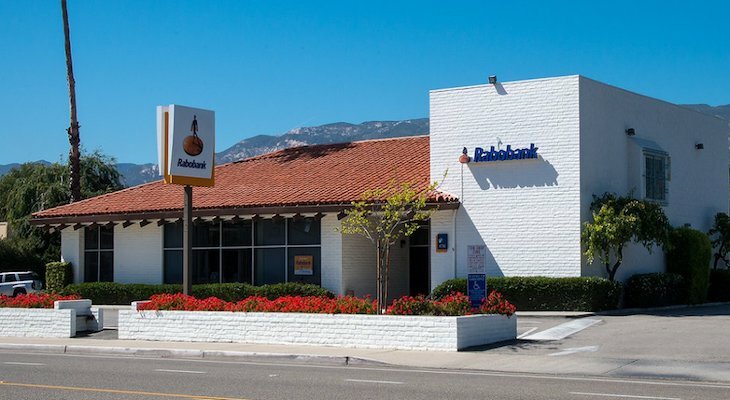 Rabobank was recently prosecuted by the Justice Department for allegedly hiding evidence about the flow of Mexican drug-cartel money through its bank branches near the U.S. and Mexico border. In February 2018, the bank pled guilty to a felony conspiracy charge and agreed to pay $369 million in penalties. "As part of its plea, Rabobank admitted that top executives in California took steps to block employees and regulators from exposing the bank’s misconduct, which allowed hundreds of millions of dollars of untraceable cash to move through the bank," reports Bloomberg News. The transaction is expected to close in the third quarter of 2019. Both banks advise customers to continue to do business with their current bankers, and expect little to change as the two organizations prepare to combine. Anybody else see this photo and think they were robbed again? Let’s hope they don’t change the name. Robabank is just too cool. Is that because with low to non-existent interest paid to savers, the difference between that and the rates at which they lend our money out is crazy profitable? Ya think?